Majestic, awe-inspiring vistas, world-class lodges, exceedingly fresh produce, excellent wine and that laid-back Kiwi hospitality — all reasons to pay the famed islands of New Zealand (both North and South) a visit. While the two halves that make up the island country each have their unique charms, when it comes to unparalleled beauty, the South Island should be your first port of call. Anyone who’s been will tell you that this isle rightfully deserves its reputation as one of the most beautiful places on the planet. The sheer variety of landscapes — snow-capped mountains feeding into crystal blue lakes and fjords, deep canyons and narrow ravines, wide expanses of open plains and lush forest — is astounding. Beyond simply soaking in the breathtaking natural landscapes, the South Island offers a number of experiences to tick off your bucket list. Ready to embark on the trip of a lifetime? Follow our travel guide below for the ultimate 7-day road trip itinerary. Located in the southwest of the island, Queenstown makes for a great home base from which to begin your exploration of the Southern Lakes and the surrounding region. From Queenstown Airport, you can pre-book a one-way car rental (we’d recommend Ezi Car Rental for their fast and reliable service), which is one of the best ways to explore the island within a week’s time. Sitting on the fringe of S-shaped Lake Wakatipu, Queenstown is known for being the adventure capital of the world, with a plethora of heart-racing activities to dive right into your holiday. You’ll want to spend a few days exploring Queenstown itself before scoping out the other tourist attractions and geographical landmarks in the region. 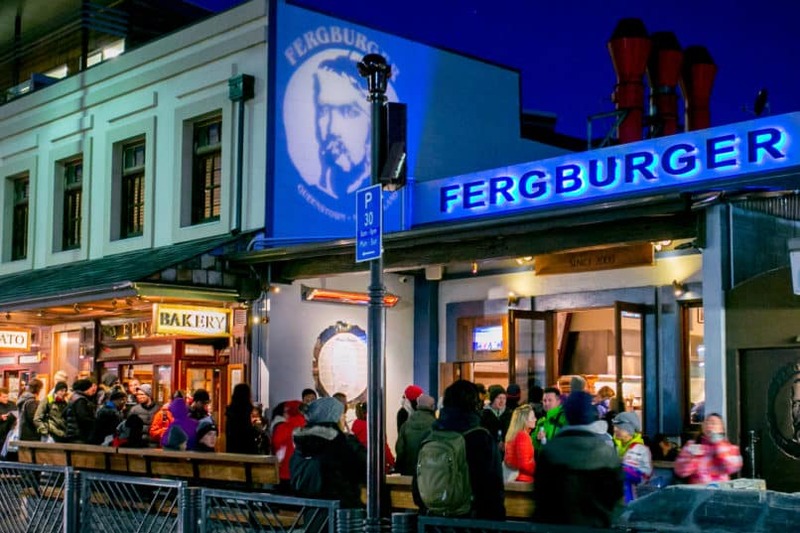 The city channels the ski resort vibe with its mix of boutique outerwear shops, après-ski restaurants and bars, and a relatively young and hip crowd thanks to Queenstown’s propensity for attracting thrill seekers and adrenaline junkies. To get your bearings on Day 1, head up the Skyline Gondola, which offers a bird’s-eye view of the town from atop Bob’s Peak. 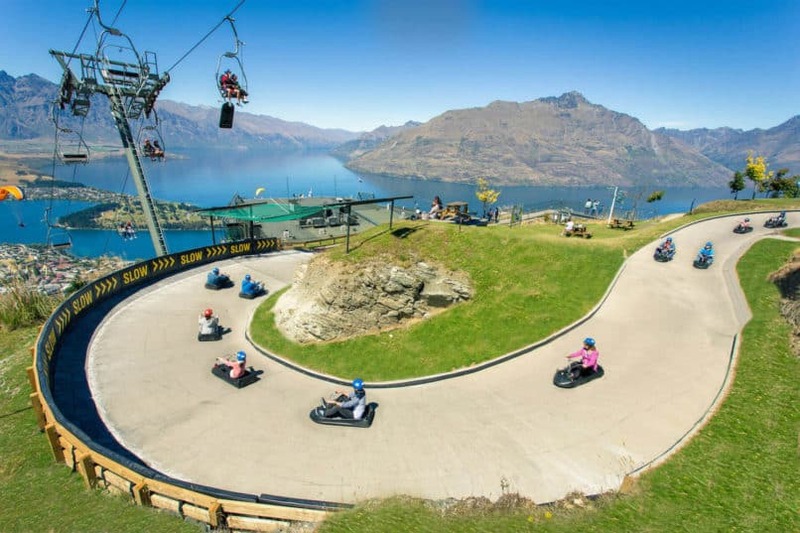 In addition to boasting a restaurant and 360-degree sky deck, you can channel your inner kid (and ease slowly into the more perilous activities on your agenda) on the Skyline luge, whipping down the winding man-made tracks with all of Queenstown at your feet. A day trip takes you to majestic Milford Sound, one of the South Island’s major attractions and sometimes referred to as the 8th Wonder of the World. 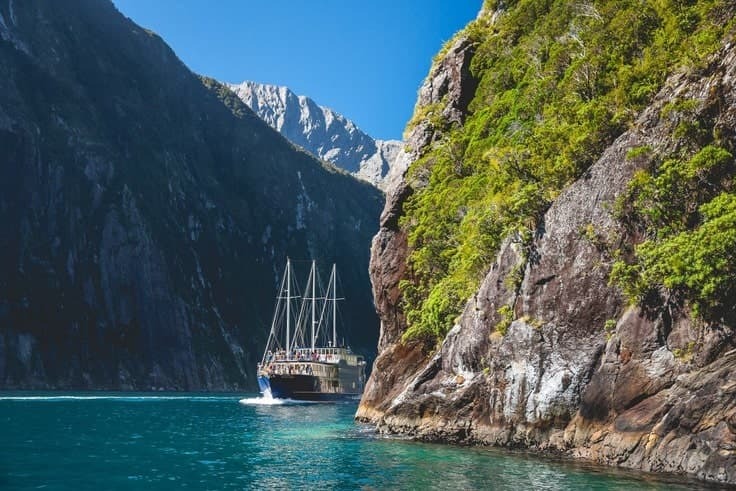 Marked by dramatic cliffs, cascading waterfalls, jagged mountain peaks and abundant wildlife, Milford Sound offers an unmissable experience for nature lovers. We’d recommend taking the coach and cruise option with Real Journeys: The transfer is a 4-hour journey through the Fiordland National Park with insightful commentary from the driver, regular pit stops for photo ops and stunning views from within the spacious glass-roofed coaches. When you arrive at the sound, jump onboard a 2-hour nature cruise, where you’ll get right under the waterfalls and up close with the area’s wildlife while learning from one of the specialist nature guides. For those looking to tick off another bucket list item, skip the coach return ride in favour of a private helicopter transfer straight back to your accommodation. Heart-pumping activities in Queenstown abound, from sky diving to bungee jumping to jungle swinging (for the last two, look no further than the famous AJ Hackett), but for a quintessential New Zealand experience without the death-defying risks, book a seat on the Shotover Jet. (Fun fact: The modern jet boat was actually invented by a New Zealander in 1953). 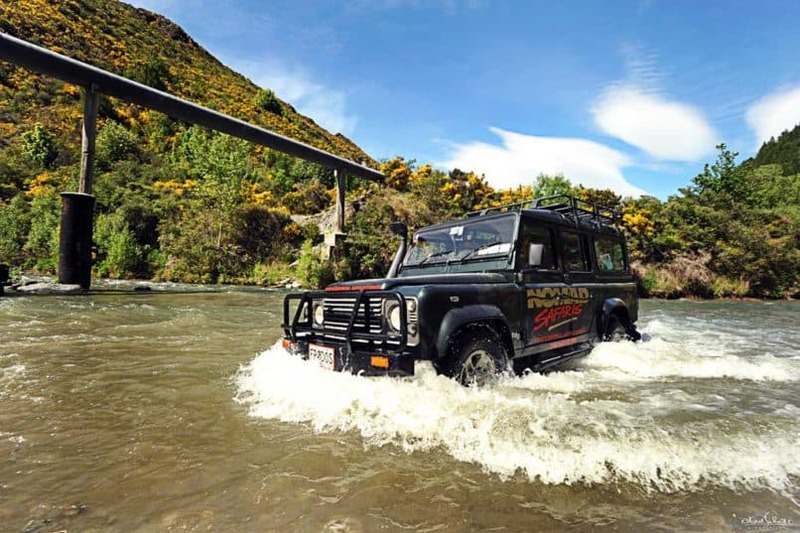 This iconic local attraction takes you on a thrilling ride through the narrow Shotover River Canyons, blasting past the craggy rock formations, dipping in and out of the crevices and holding on for wild 360-degree spins. The Shotover Jet is the only company permitted to operate in the canyons, which make the views alone worth it. 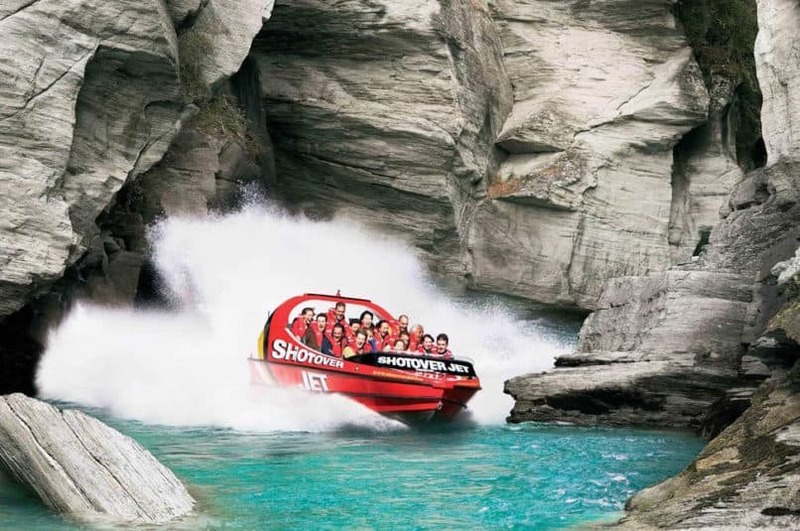 Since debuting in 1965, more than 3 million people have taken a spin on the Shotover Jet, including famous faces from Hugh Jackman to Sir Ian McKellen. A scenic 45-minute drive along the shores of Lake Wakatipu brings you to Glenorchy, a small town that serves as the gateway to the Mount Aspiring National Parks, and is famous for providing many of the jaw-dropping locations in the Lord of the Rings movies. 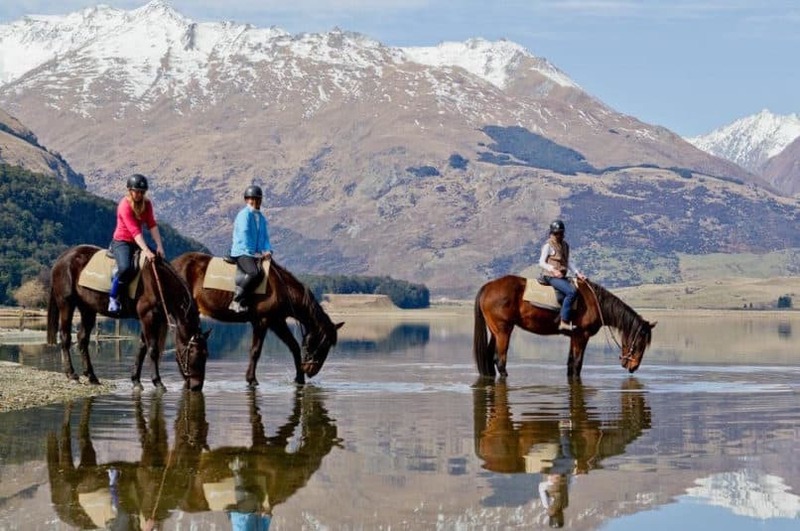 Those seeking a little Middle Earth magic should book a horse riding tour with Dart River Adventures, who have private access to parts of the Dart River and valley (a few of their horses were actually used in the LOTR movies). The 2 Hour River Wild experience takes you on a gentle ride through the Dart Valley; led by the team of friendly and experienced instructors, your small group will navigate a path across the braided rivers and through fields of lupins, stopping to soak in backdrops which have served as the sets in movies from LOTR to Mission Impossible, X-Men, The Chronicles of Narnia and many more. From jet boats to horseback, the ways to experience the South Island’s enviable mix of scenery and adventure are truly endless. If off-roading is more up your alley, jump into one of the sturdy Land Rover Defenders or Toyota Landcruisers operated by Nomad Safaris. With the largest fleet of off-road vehicles in the Queenstown area, Nomad offers a new perspective to see the region with customised half- or full-day tours. The team of friendly and energetic guides will take you through the Wakatipu basin, up to Coronet Peak for one of the best views in the area, and on a treacherous drive through Skippers Canyon (the site of the 1862 gold rush), all while expounding on the intriguing history of the area and fun Maori folklore. Adventures further abroad include Glenorchy, Paradise, Macetown and Arrowtown. For Peter Jackson fans, the LOTR tour offers an exploration of the Otago region while visiting filming locations from Minas Tirith to the Misty Mountains. 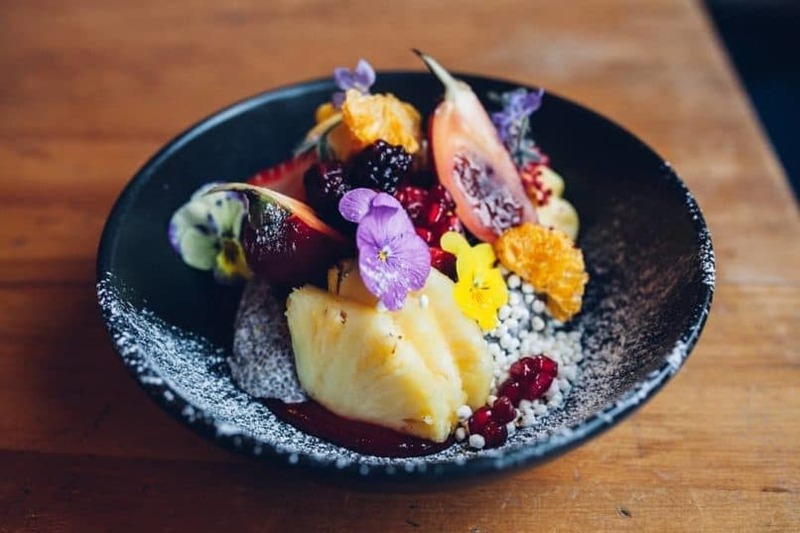 With a keen passion for local produce and multicultural cooking style, chef Will Eaglesfield of The Grille by Eichardt has become one of Queenstown’s most lauded culinary stars. At his waterfront restaurant, diners can taste the bounty of Central Otago produce prepared with techniques ranging from grilling to curing and smoking. 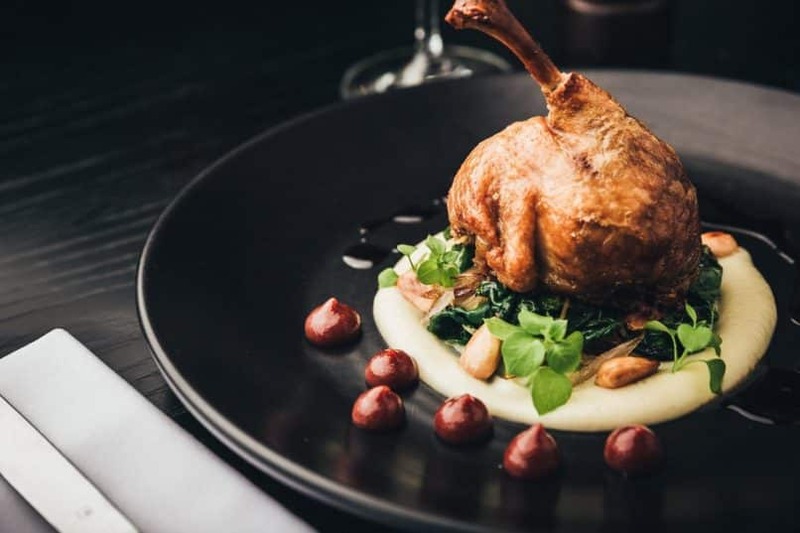 The stylish restaurant evokes modern New York City sophistication with a hint of European charm, while service flows as effortlessly as the wine does into the immaculately polished glassware. Dishes range from the innately comforting — don’t miss the legendary seafood chowder — to sophisticated iterations of bistro faves such as chicken Caesar topped with a 63-degree egg and wild venison Wellington encased in garlic and rosemary-infused pastry. Open all day, it’s worth stopping by in the afternoon for a casual aperitivo of cheese and charcuterie paired with Pinot and a spot of people watching. This decade-old steakhouse perpetuates the cosy ski-town vibes with roaring fire logs and a luxurious dining room filled with sumptuous fabrics and cosy armchairs set under elegant chandeliers. As the name suggests, the menu caters largely to carnivores: think giant Tomahawk steaks, slabs of rosy pink ribeye, rack of lamb and roasted lamb shoulder. Starters are more refined and should be given due attention: from a brilliant construction of hand-cut Wild Fiordland red deer tartare zapped with creamed horseradish, to warm citrus-cured Ora King salmon served with butter-poached NZ scampi. Exemplary service and a well-curated wine list round out this quintessential Queenstown experience. The long lines rarely subside at this burger joint located on the main thoroughfare of town. Regularly touted as one of the best burgers in New Zealand, the Fergburger has risen to iconic status for gastronomes: a prime New Zealand beef patty topped with all the accoutrements, from crunchy lettuce to a smoky tomato relish — all slapped between two pliant buns that remain wonderfully squishy despite a delicately crackling exterior. 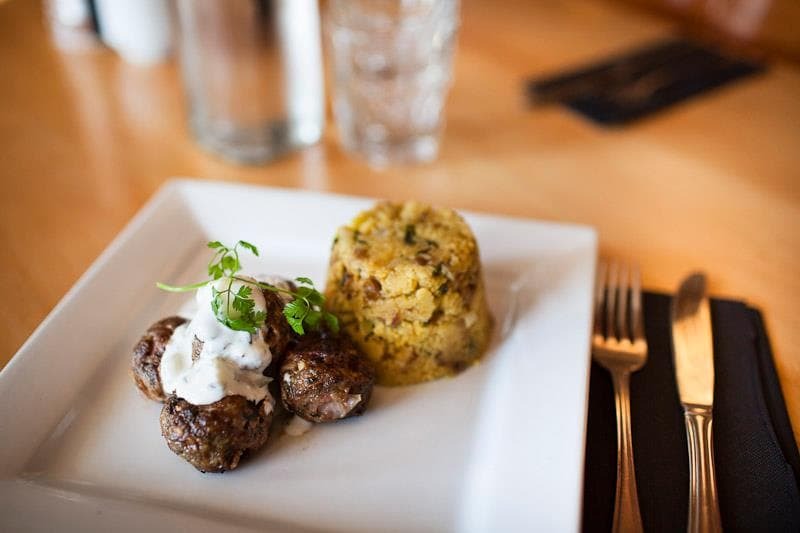 Once you’ve smashed the original Ferg, dip into more than 15 other burgers on the menu, from the Little Lamby slathered in mint jelly to the Bombay Chicken with a cool cucumber raita and the Ferg-lafel mash-up of burger and falafel. Lakeside diner Finz remains one of the best spots to slurp on local oysters (offered natural, beer-battered or kilpatrick-style) at dusk while soaking in the laidback vibe of the Queenstown pier. 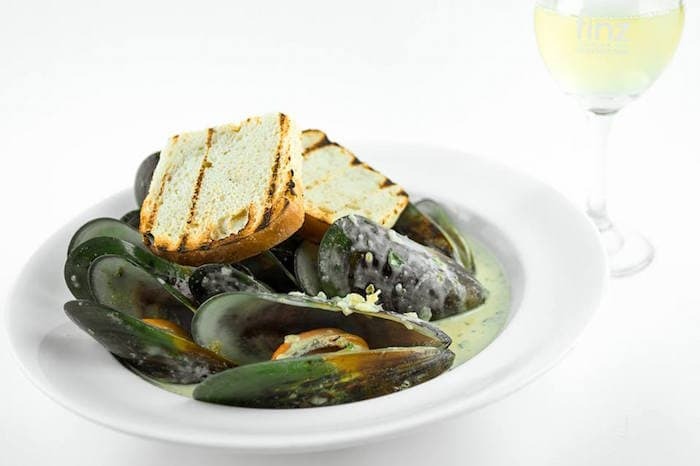 Like many restaurants in town, premium local produce forms the building blocks of the seafood-centric menu here: Try the green-lipped mussels, tossed with white wine, garlic and parsley, the golden battered fish ‘n’ chips or the prawn and clam spaghetti. A range of tropical-inspired cocktails are a welcome start before switching over to a refreshing Otago Pinot Noir or crisp Marlborough Sauvignon Blanc. Meat eaters are also well catered for with a selection of prime New Zealand beef cuts and Southland lamb. Tucked away amidst a row of restaurants and bars on a cosy pedestrian street of Church Lane, The Spire (starting from HK$3,848 per night) boasts a distinct air of intimacy and exclusivity despite its centralised location. Just one block up from the waterfront promenade, the 10-suite hotel is a modern and upscale rendering of a cosy B&B, delivering world-class service (private valets, 24/7 front desk and an indefatigably friendly concierge) and facilities alongside cosy creature comforts such as a fully stocked DVD library of classic flicks and toasty fireplaces in each room to stave off the winter chill. Designer suites are handsomely appointed in a contemporary palette of black, red and white, with plush furnishings and ensuites bearing open shutters adding to the intimacy of the space. Private balconies overlook St Peter’s Church (the hotel is named after the building’s steep spires), while high-fi amenities include plasma TVs and state-of-the-art surround sound. In the early evening hours, saunter down to the lobby bar where complimentary pre-dinner cocktails are shaken up nightly, concocted by a team of expert mixologists. The gastronomic journey continues at No5 Church Lane, an award-winning restaurant serving up local produce through the prism of Mediterranean and Northern Italian-style cooking. 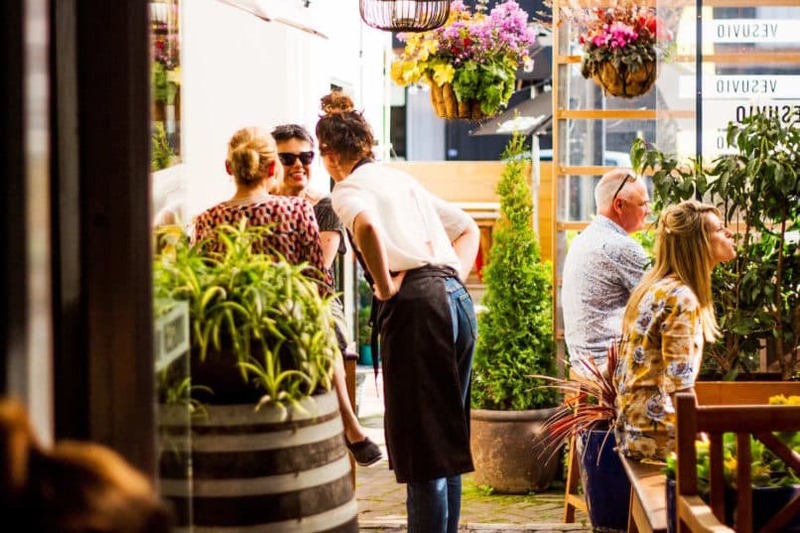 A well-curated mix of Otago and international wines go down easy alongside a health-centric menu emphasising both vegetables and wild Fiordland game (don’t sleep on the excellent hare croquettes and venison pâté with candied walnuts). The all-day restaurant also services hotel guests for breakfast, where hearty portions of free-range bacon and eggs, homemade granola with thick yogurt and Otago honey, and wholemeal toast slathered in homemade cashew butter fuel up your tank for the day. Half the beauty of road-tripping around the South Island is in the journey itself, and this next leg offers up some spectacular sights from the road. As you leave Queenstown, you’ll take on the steep and winding routes of the Crown Mountain Ranges and cruise past beautiful vineyards before reaching the dazzling turquoise waters of lakeside town, Wanaka. In between pulling over on the side of the road to document these stunning landscapes, here are the pit stops you’ll want to make along the way. 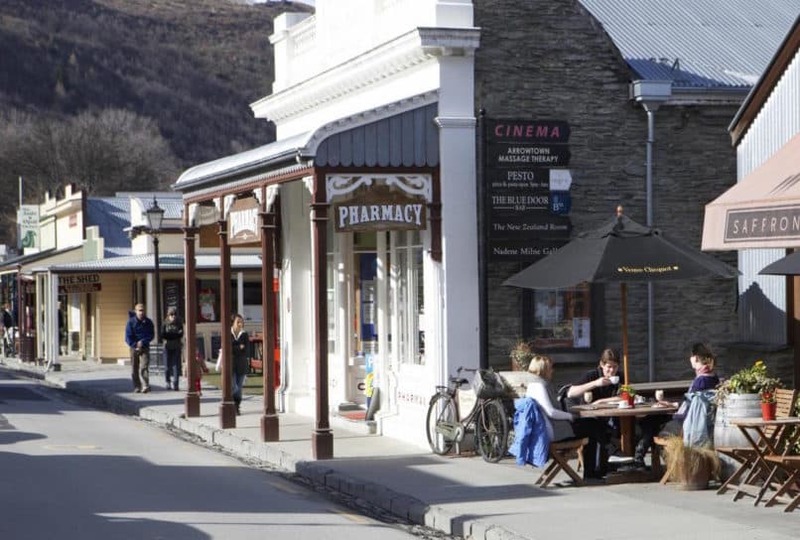 Your first stop as you leave Queenstown should be Arrowtown, a quick 10-minute detour from the main road. Spend a few hours exploring this charming mining town, a relic from the gold rush era built along the bank of the bubbling Arrow River. Rich in heritage, the main thoroughfare delights with boutique clothing stores, art studios, galleries, cafés and restaurants all built in the historic style of the mid-19th century. Don’t miss the Lakes District Museum for a more in-depth look at the fascinating history of the town, then head down to the river where you can try your own hand at gold panning. 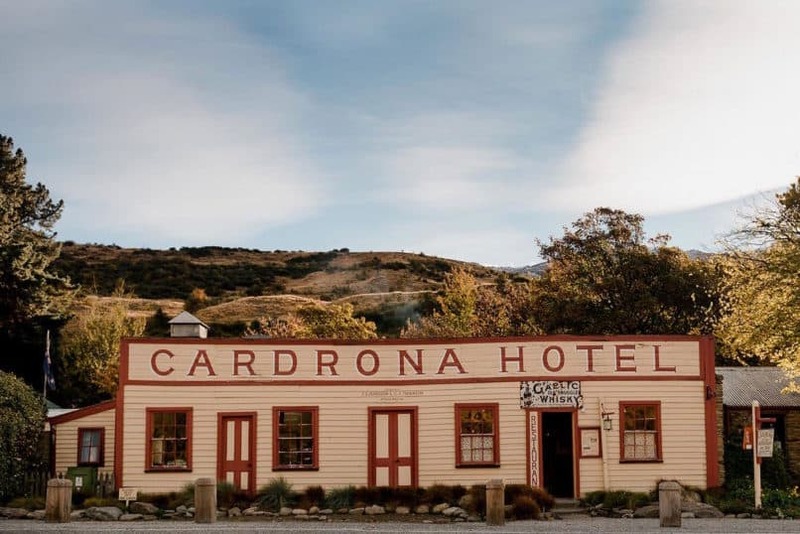 On the way up to Lake Wanaka, Hotel Cardrona is a popular pitstop, thanks to its mix of rustic charm and the rich heritage of the building. One of the oldest hotels in New Zealand, the restaurant and bar (and adjoining beer garden with wonderful craft beers on tap) are perfectly situated for a refreshment break as you pass through the Crown Range, with the kitchen serving up a modern take on pub classics. It’s open any time of day, welcoming in-house guests and visitors alike with charming hospitality and mouthwatering local fare. Your first order of business upon settling in the charming Lake Wanaka neighbourhood is to visit its most iconic (and most widely photographed) attraction. 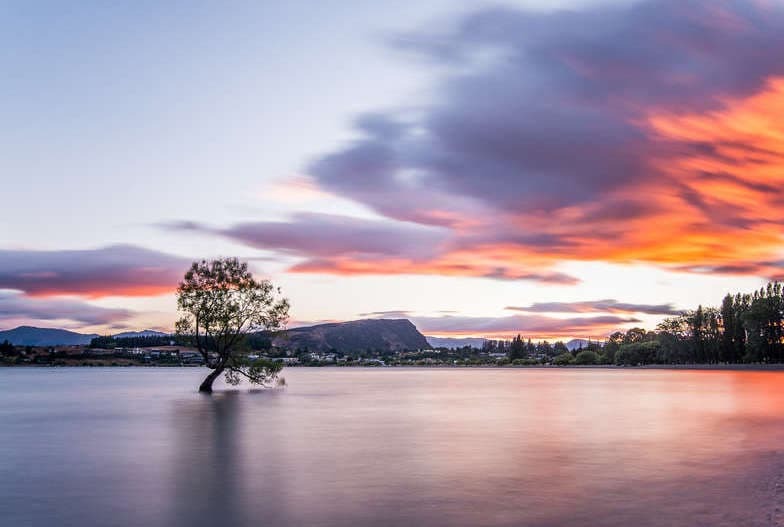 With its very own hashtag, #thatwanakatree sees photographers flocking from all around the world to get the surreal shot of the lone willow which has stood the test of time and tide. You can’t spend a week on the South Island without exploring its numerous hiking trails. One of the most challenging yet rewarding hikes on this itinerary is Roy’s Peak, which reaches a summit of 1,578 metres and takes around 5–6 hours to complete (with a reasonable level of fitness). 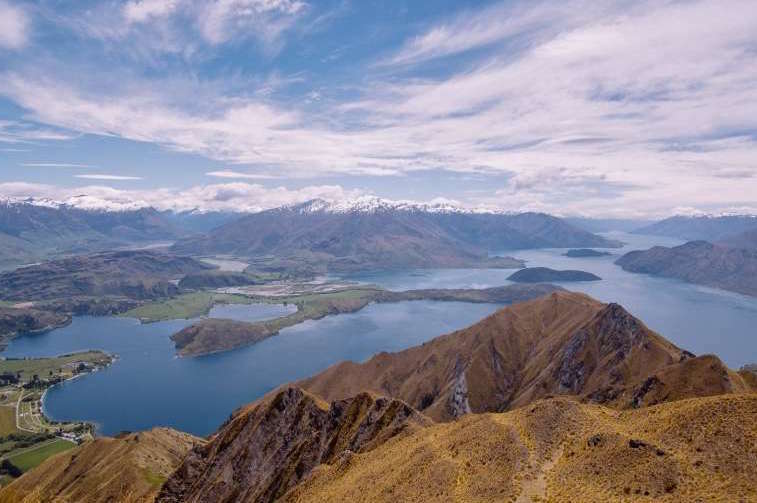 Climb from the lake through grassy farmland and up the steep mountainside to the peak for spectacular views of Wanaka and the litter of islands and bays which make up the surrounding landscape. Seeking an easier trek? Ascend Mount Iron instead: A mild 1-hour hike to the top with impressive 360-degree views makes for an easy payoff. 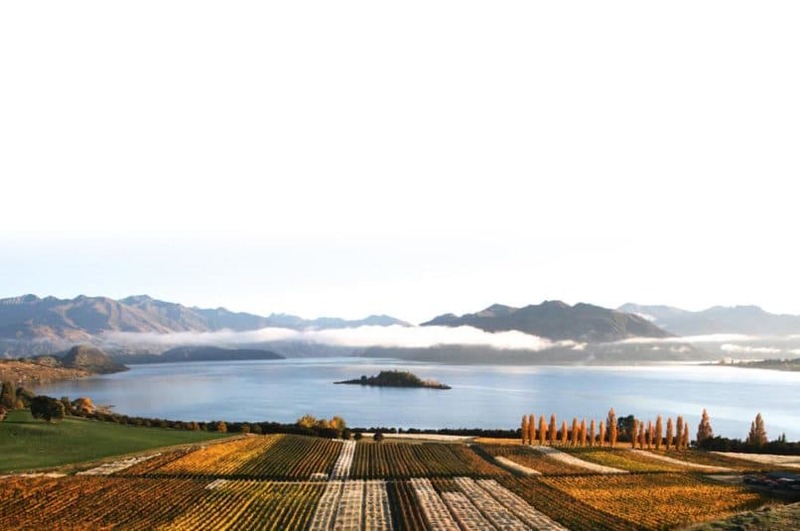 One of the most beautiful wineries in all of New Zealand, Rippon benefits from its prime location on the shores of Lake Wanaka. Stop by The Tasting Room, where you can sample the winery’s famous Pinot Noir before stepping onto the grounds to photograph the sprawling estate packed with rows upon rows of vines spilling out to the lake beyond. Owned for more than five generations by the Mills family, these biodynamically produced wines are well worth making a little extra room in your luggage for gifting friends and family back home. For those with a penchant for fine wines, other vineyards worth visiting in the area include Gibbston Valley, Mt. Difficulty, Carrick and Mt. Maude. 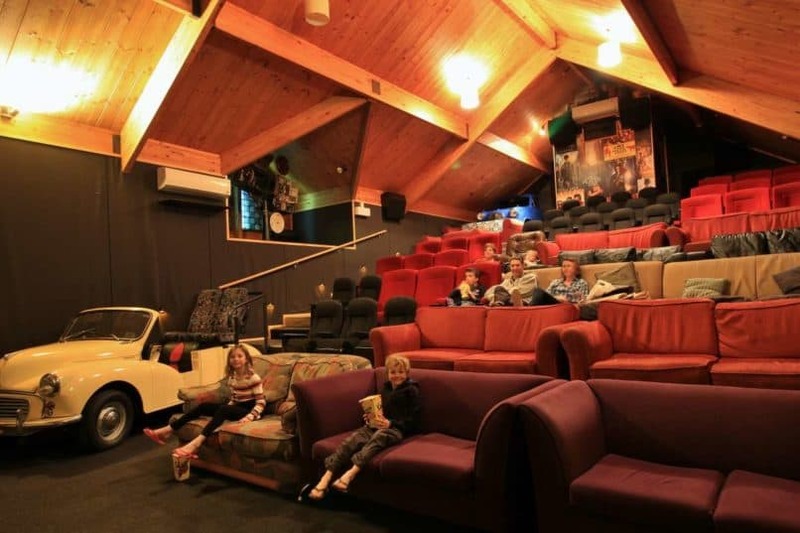 Wanaka is all about small town charm — and nowhere encapsulates this more than Cinema Paradiso, an old-school movie theatre showing classics and new features in three quirkily decked-out theatres complete with antique cars and old comfy sofas as theatre seats. The cafe and bar serves up homemade ice cream and warm baked cookies during intermission (yes, there’s an interlude during every movie for snack refills) — the latter we can confirm to be some of the best cookies in the Southern Hemisphere, if not the world. Modernist kitchen Kika is a must-hit destination for gourmands, packed nightly with locals and tourists alike. Innovative dishes by award-winning chef James Stapley are matched with an excellent and affordable wine list and expertly shaken cocktails. With much of the produce sourced from Kika’s own backyard garden, the seasonal menu focuses mainly on tapas-style dishes such as beef tartare with confit egg yolk, seared tuna with squid and koji mayo and pickled anchovies under a refreshing chilli granita. Older sibling to Kika, this homestyle kitchen is the place to hit if you’re in the mood for rustic Italian food. A long-standing gem of the local culinary scene, Francesca’s keeps a long list of regulars with its traditional homemade pastas and wood-fired pizzas which sing the virtues of simple Italian produce. A fine selection of Italian and New Zealand wines and Peroni on tap rounds off the beverage list. If you don’t make it in time, you can also stop by their sister branch in Christchurch at the tail end of your trip. 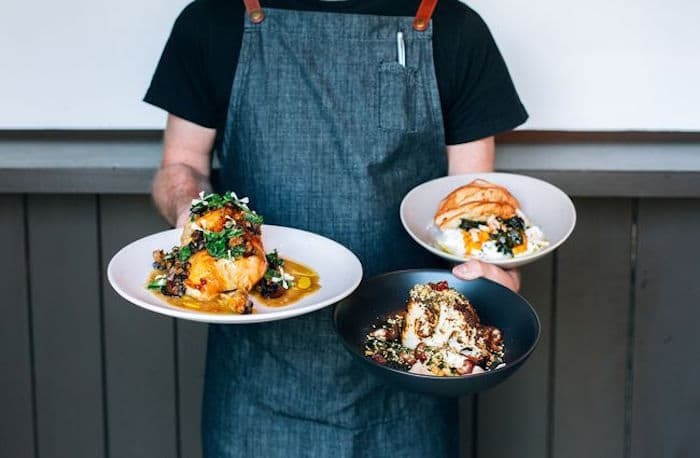 For a low-key yet satisfying meal, ask any local and they’ll inevitably send you to Relishes Cafe, one of Wanaka’s oldest eateries and an institution in its own right. Serving up all-day bistro-style fare, the menu is a gold mine of local produce with an array of meat, seafood and vegetarian dishes to please all types of palates. Lakefront views make for prime people-watching as you enjoy eggs Benedict for breakfast, a Reuben sandwich for lunch, or wild Otago venison for dinner paired with masala dahl and cumin seed pilaf. 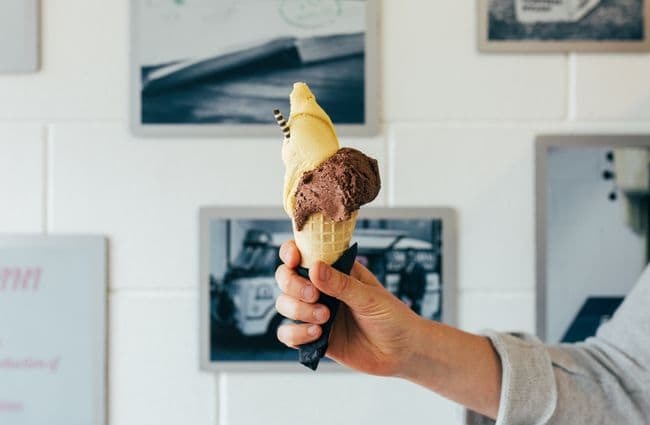 Take a morning bike ride around Lake Wanaka then treat yourself to Black Peak Gelato, tucked away down an alley on the main waterfront stretch. The home-made gelato and sorbets here are outstanding, all made in-house with authentic Carpigiano gelato machines. Purely flavoured sorbets are crafted using local fruits (Central Otago peaches, cherries, apricots, raspberries and strawberries) while popular gelato flavours include Sea Salted Caramel and After Eight Mint. 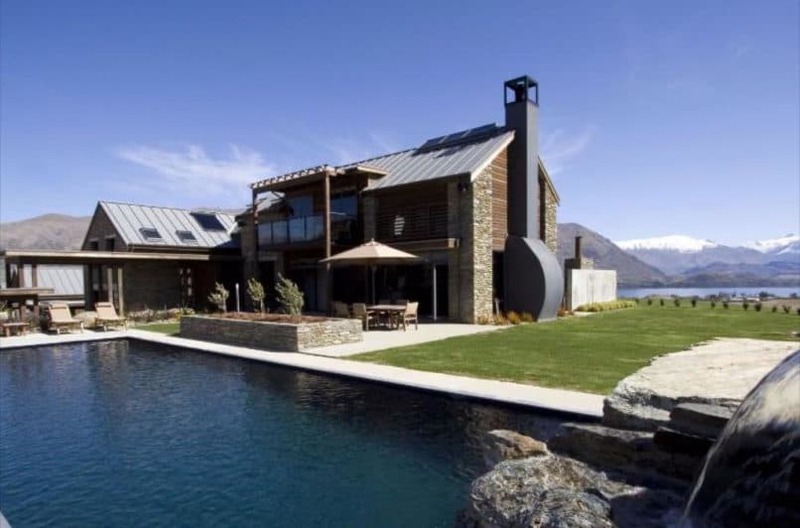 The home and hospitality project of long-time Wanaka residents Baz and Trish, Tin Tub is not just one of the most luxurious B&Bs in the area, but it’s also a shining beacon of warm Wanakan hospitality. That’s all thanks to Baz, who makes it his personal mission to make sure every one of his guests gets the most out of their stay, whether they’re in the area for one week or one day. After getting the keys to your room (rather than a check-in reception, simply hunt Baz down whether he’s tending to the chicken coop or frying up breakfast in the main house), he’ll spend a good amount of time introducing you to the area’s best restaurants, activities and hidden gems with a thick stack of brochures. A true advocate of Wanaka’s charms, Baz’s enthusiasm is infectious and will set you on the right path for your stay. After a restful sleep, a breakfast of champions awaits — think fresh seasonal Central Otago fruits, homemade muffins and jam, eggs with bacon, coffee and freshly squeezed juice — courtesy of Baz’s wife, Trish (her sumptuous homemade cookies are also stocked in the room cupboards for periodic snacking). 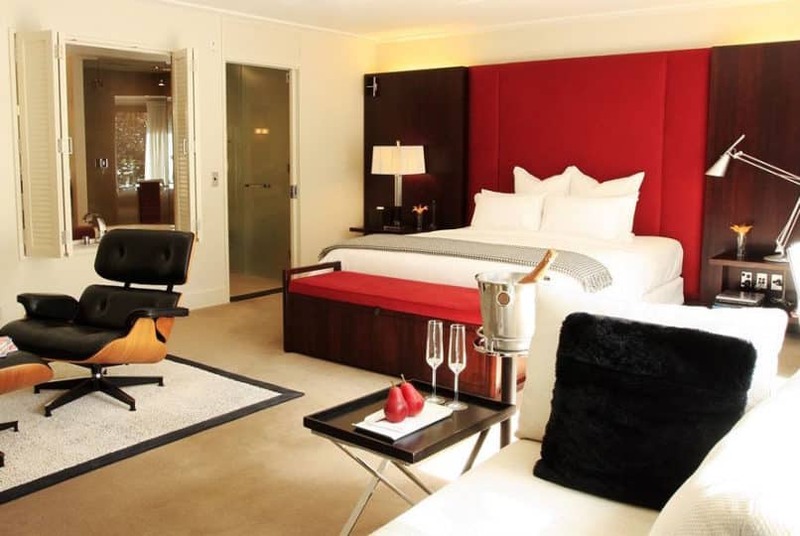 As for the rooms themselves, we’d recommend springing for the Lodge Room (starting from HK$3,674 per night) with its alpine-luxe furnishings, California Queen-size bed, ensuite with spa bath, and outdoor slipper baths (or “tin tubs”) on the adjoining patio for stargazing at night. Other facilities include tennis courts, a swimming pool, sauna and gym, guest lounge, library, and mountain bikes for rent. Icebergs, glaciers and alpine scenery await you in the Mt. Cook/Aoraki area, where resides New Zealand’s longest glacier, the Tasman: At 29 kilometres, it’s more than double the length of the nearby Fox and Franz Josef Glaciers found on the other side of the Mount Cook Mountain National Park. 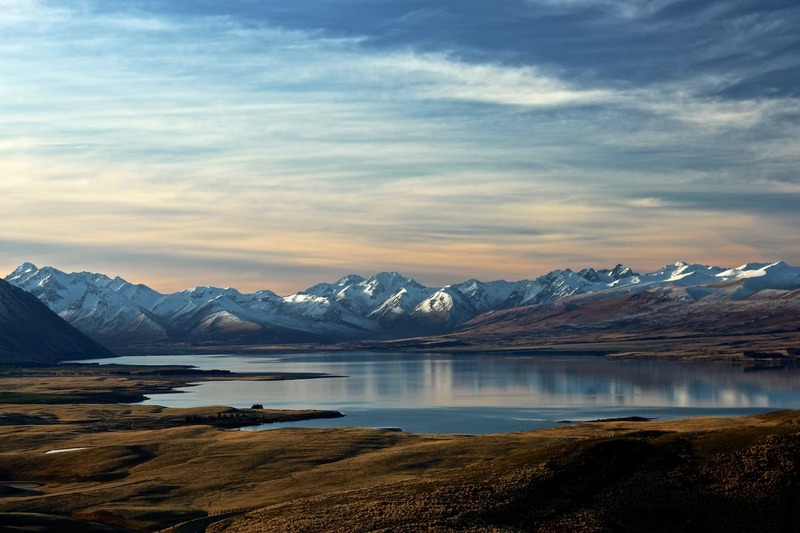 Further ahead is Lake Tekapo and the Aoraki Mackenzie International Dark Sky Reserve — widely hailed as one of the best spots for stargazing in the world. One of the only ways to get up close with the Tasman Glacier is through a heli-hike excursion. 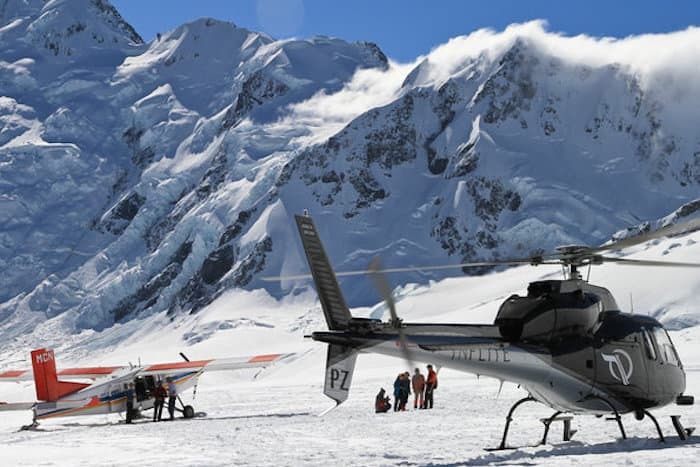 For this, look to trusted scenic flight operators Inflite, aviation specialists who will whisk you up the Southern Alps with their large fleet of helicopters and ski planes in no time. Once on the glacier, you’ll feel like a true alpine mountaineer with your walking poles and snowshoes as you explore your way around this massive glacier which is slowly carving out the valley, learning about the various natural formations and ducking into caves formed by centuries of slow-moving ice. An experienced guide imparts extensive knowledge as you explore the surreal landscape; jacket, gloves, wool socks, shoes and other equipment are also provided at the start of your trip. Tip: If you’ve booked an early morning excursion, we’d recommend spending the night in the small town of Twizel (Airbnbs are readily available), at the base of Lake Pukaki, for a quick 40-minute drive to the Mt. Cook Airport base the next morning. As you head towards Lake Tekapo following your mountaineering adventure, take a detour off the main road up the winding path that leads to the Mt. John Observatory. This magnificent lookout point is worth visiting twice: During daytime, enjoy a cup of hot chocolate at the Astro Cafe while soaking in the 360-degree bird’s-eye panoramas of the region; at night, evening stargazing tours give you a thrilling look at constellations and the cosmos using the observatory’s powerful telescopes. 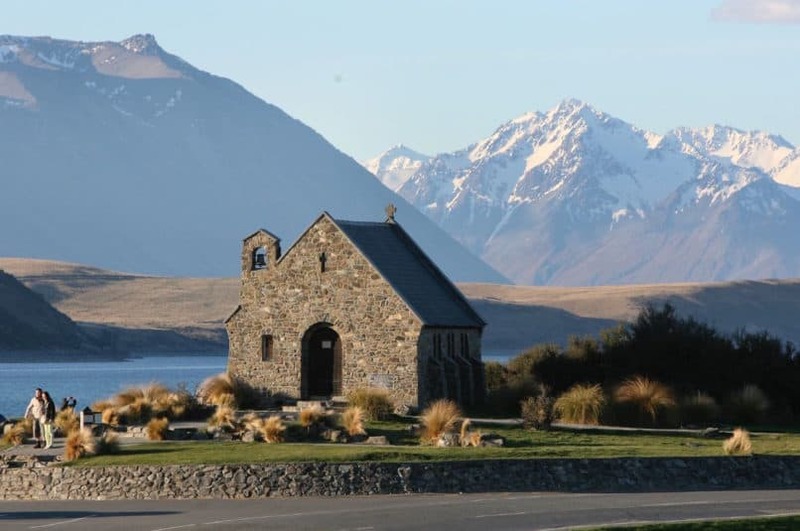 No journey to Lake Tekapo is complete without visiting the Church of the Good Shepherd, an iconic landmark and Tekapo’s most photographed spot. The humble building makes for a striking contrast against the mountain views and breathtaking blue lakes, with the best view from inside, framed by the altar window. At night, photographers jostle outside the church’s entrance to catch the fleeting shot of the structure set against the starry night sky. Presumably by now, a little R&R is just what you need to refuel in the middle of an adventure-packed trip. 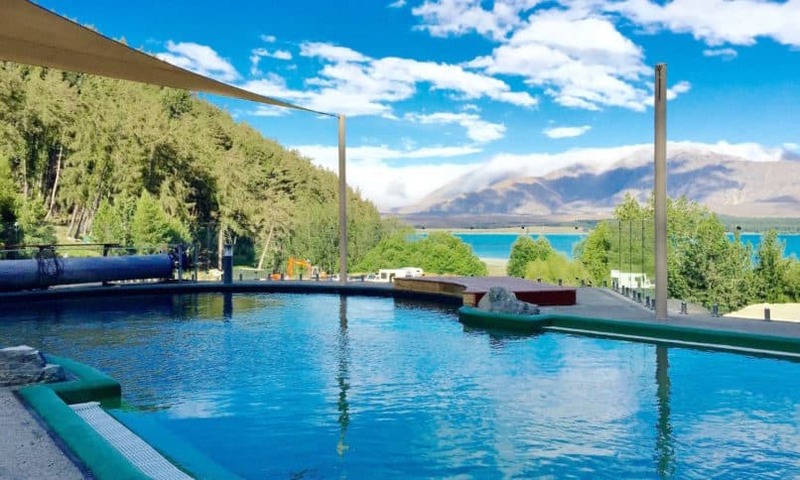 For this, look no further than Tekapo Springs, one of the town’s main attractions which offers a number of floating hot pools (28–39 degrees) meant to mimic the natural lakes beyond. Go for a soak, lie back and take in the mountain views, then head to the on-site Day Spa where expert masseuses will knead away tired muscles from the week’s activities. 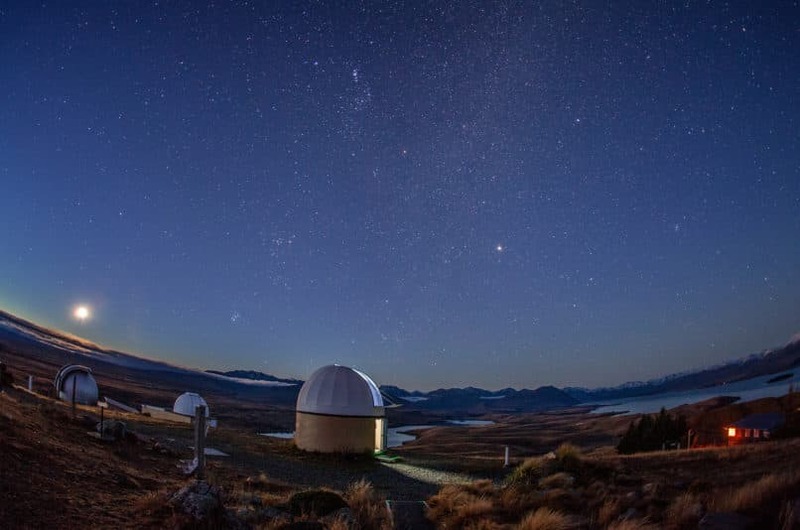 At night, you can return for Tekapo Star Gazing, which includes a unique combination of astronomy and storytelling, followed by stargazing while floating in the warm pools. Ready for a break from NZ fare? 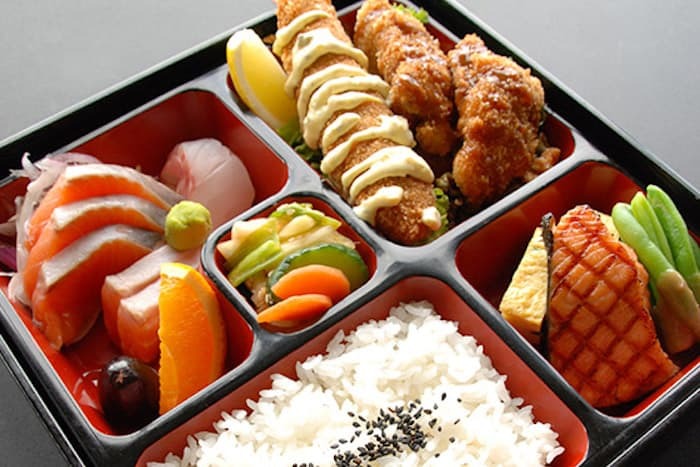 Surprisingly enough, one of the most popular eateries in Tekapo is a Japanese restaurant: For 20 years, Kohan Japanese Restaurant has been drawing in the crowds with its popular salmon don and other dishes which utilise native ingredients in Japanese preparations. Enjoy a variety of fresh sushi, sashimi, tempura and Japanese desserts; bookings are highly recommended. 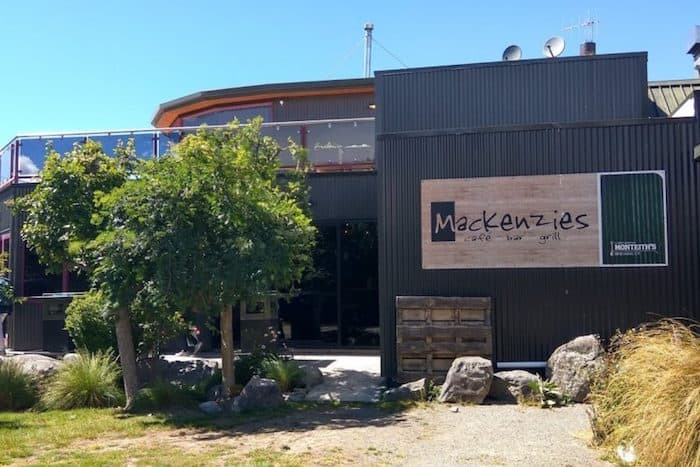 The food scene in Tekapo is distinctly modest, and Mackenzies Café Bar & Grill encompasses much of what it’s about: simple pub fare, friendly service, and a fuss-free dining room to match. The pizza, pasta and grill platters are worth trying here, but make sure you arrive early — as with most of the restaurants in the tiny town, the kitchen closes around 9:30pm. 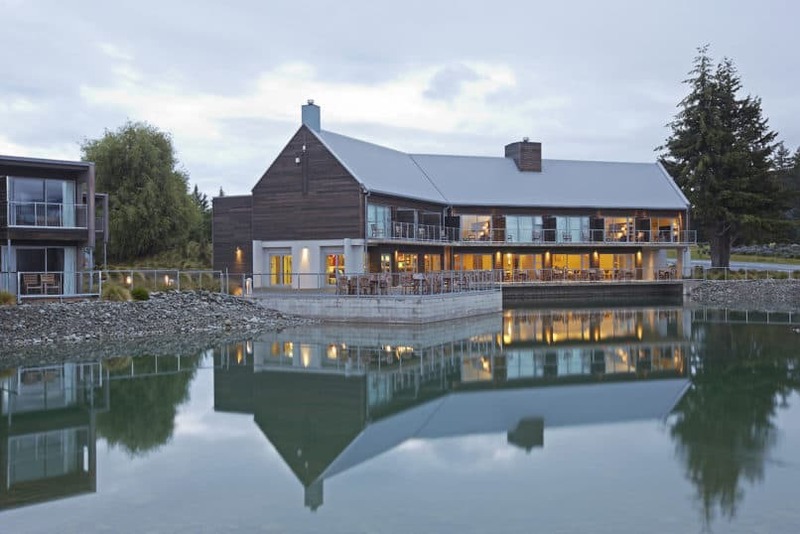 A frequented hotel for tour groups and travelling conventions, Peppers Bluewater Resort (from HK$1,049 per night) offers homely comforts and easy access to Tekapo’s main attractions. Accommodation options range from single hotel rooms to 1–3 bedroom villas, outfitted in a cosy palette of warm earthy tones and a mix of beige, blue and brown. Ocean-view suites feel more like condos rather than hotel rooms, complete with two storeys, a full kitchen, underfloor heating and cable television adding to the sense of a home away from home. Private balconies afford views of the pristine lake, and a chance to soak in the tranquil atmosphere with rooms well spaced apart. 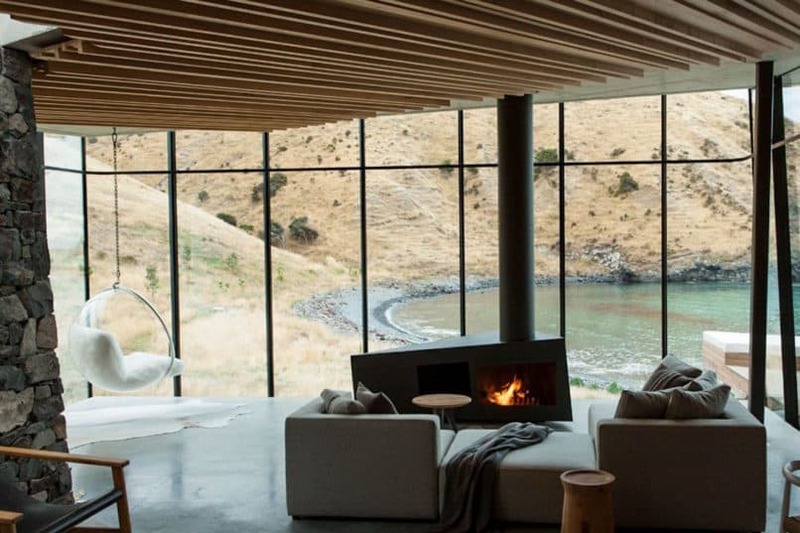 The friendly concierge here will help you with local tours and bookings, while the main restaurant, Rakinui, is a favourite serving up farm-to-table fare and an international buffet breakfast. A 3-hour drive from Tekapo gets you to Christchurch, where you can dip into the surrounding areas of Pigeon Bay and Akaroa. The South Island’s largest city, Christchurch is the destination for most international flights, and boasts a unique history and heritage of its own. Having been crippled by a massive earthquake in 2010, the city has slowly rebuilt itself over the years, and a sense of strength and community is palpable. Before exploring the city of Christchurch, take a drive around the sparkling emerald waters of Pigeon Bay and soak in the surrounding open pastures dotted with coastal farms, grassy hills and wide-open plains. Here you can take to the sea in a kayak or canoe, explore the land on mountain bikes, or take advantage of the slopes during the winter season between June and August. 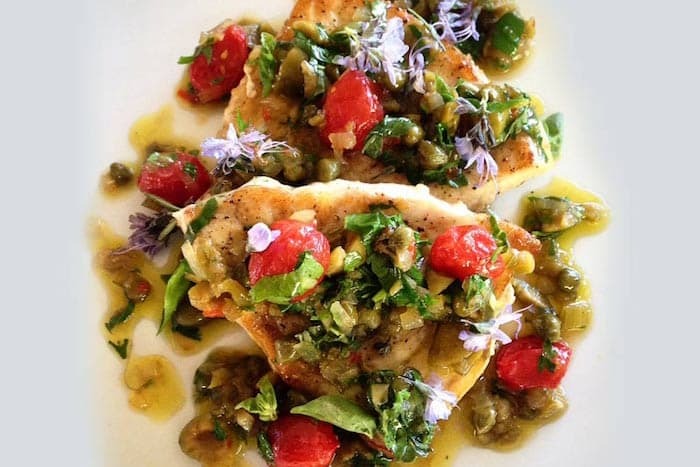 Restaurants in the bay inevitably make use of locally grown produce, offering a true farm-to-table affair. 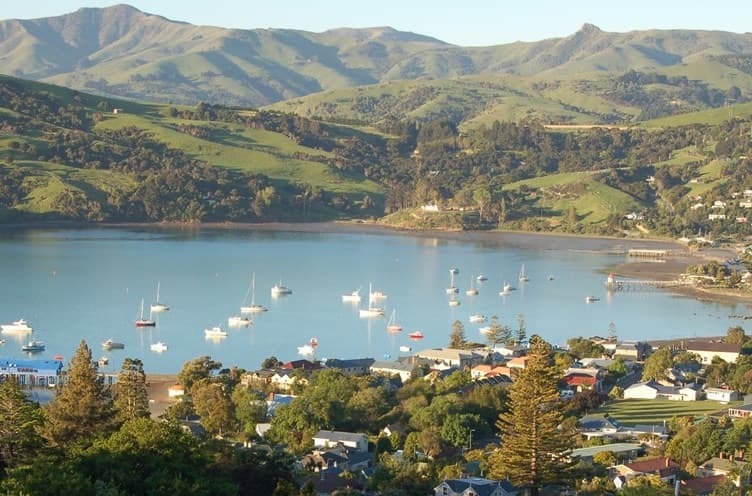 A 25-minute drive south of Pigeon Bay lies the historic French and British settlement of Akaroa; the harbour here was developed when deep valleys formed by volcanic activity millions of years ago were flooded by rising sea levels. 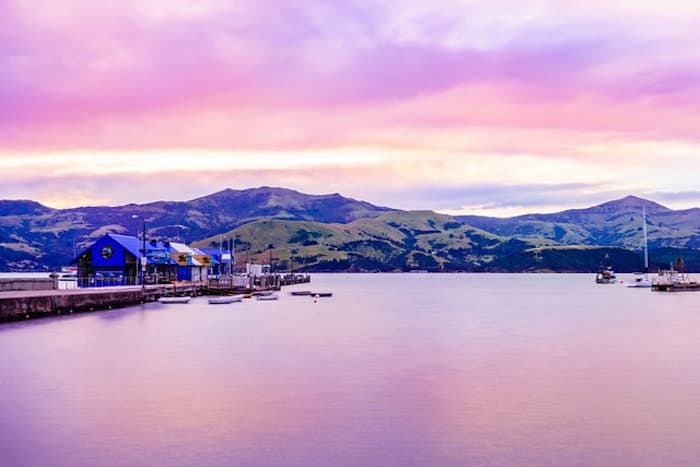 Since then, Akaroa Harbour has turned into its own enclave of intriguing colonial architecture combined with a vibrant arts and food scene and charming local establishments. You can spend half a day here exploring the quaint town, or wander along the harbour in search of penguins and dolphins. 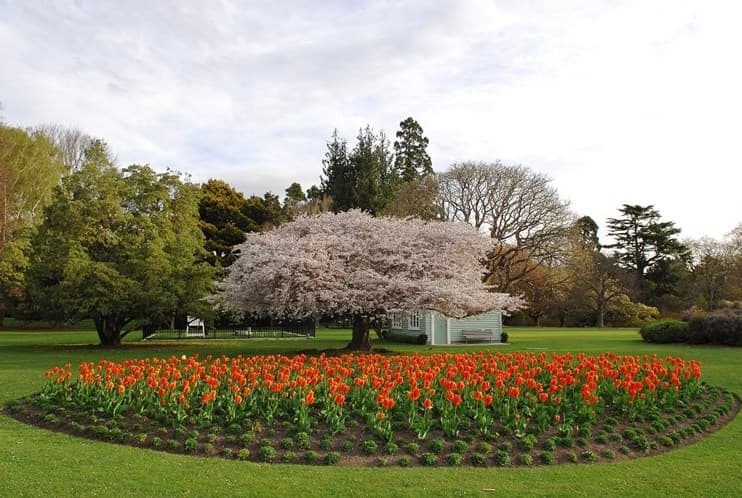 Located in the centre of the city (the small town is easily walkable, or pick up a Lime scooter for a fun way to get around), the Christchurch Botanic Gardens contain an impressive range of year-round flora and fauna. Don’t miss The Giants House, a unique sculpture mosaic garden; the Azalea Garden for a peek of silver birches and magnolias; and Garrick House for the largest collection of cacti and succulents in New Zealand. Large open lawns dotted with a canopy of oak trees make the grounds a popular picnic spot with locals, or you can find a shaded spot for a relaxing afternoon snooze. 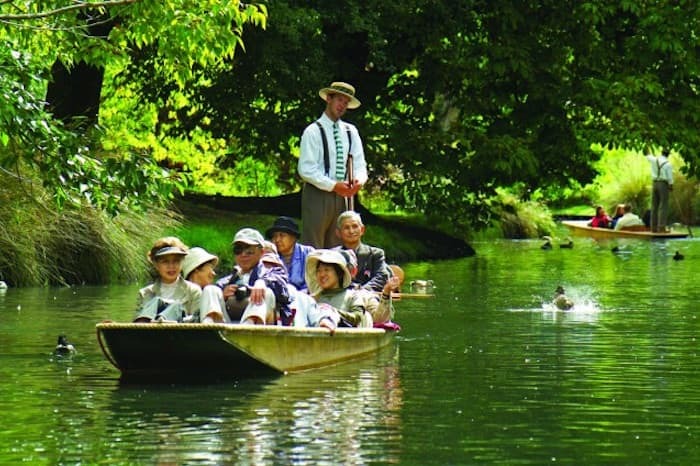 It says a lot about the humble charm of Christchurch that one of its foremost attractions is punting along the river. Yet there’s perhaps no better way to experience the city than from the flat-bottomed boat as you glide through the tranquil waters of the Avon River, propelled by a skillful punter dressed in traditional Edwardian attire. The punters will give you insight into the character-filled area as you lie back on the velvet cushions and enjoy the views along the picturesque river, including sidling up to the adorable ducklings which call the Avon home. 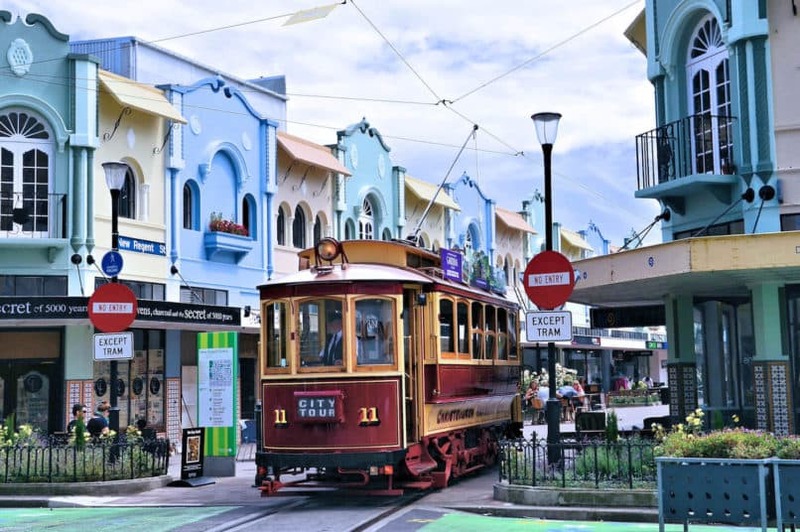 Get your bearings of the city onboard the beautifully restored Christchurch Tram, which takes you through the city’s leading attractions with knowledgeable drivers explaining the local sights and landmarks. Hop on and off as you please with a day pass, with a total of 17 stops including the Cardboard Cathedral, Christchurch Botanic Gardens, Avon River, the Canterbury Museum, New Regent Street and more. As the city still grapples with the aftermath of the devastating 6.3-magnitude earthquake, the Cardboard Cathedral has come to symbolise progress as the city continues to strengthen and rebuild itself after the natural disaster. 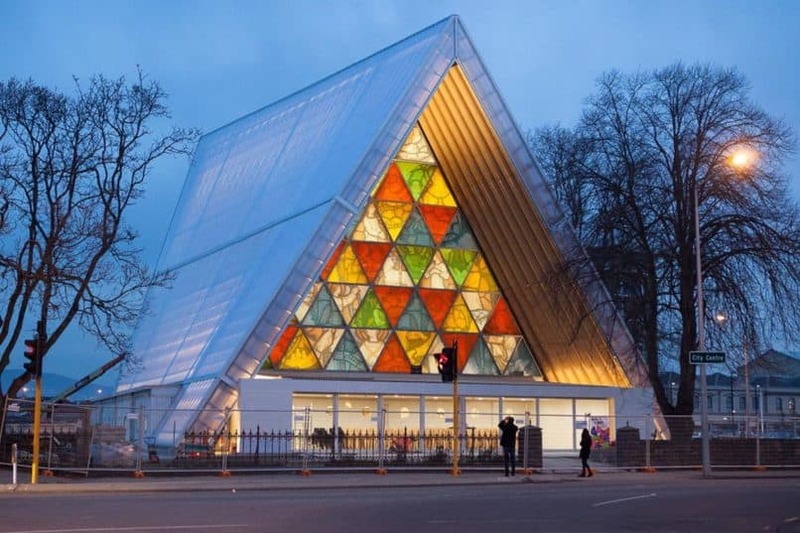 Made out of recycled wood from homes hit by the earthquake, the structure pays homage to the city’s history while serving as a temporary replacement for the city’s 1864 Anglican Cathedral, which used to be one of Christchurch’s most prized landmarks. 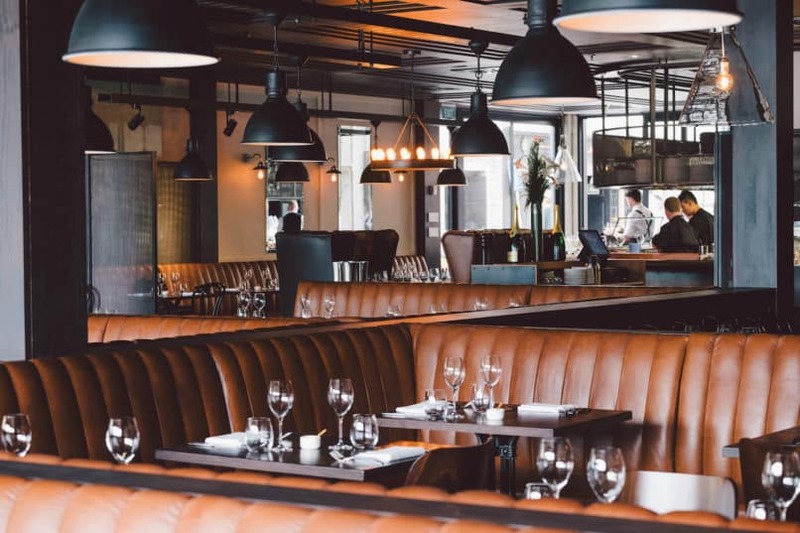 Amongst the stretch of restaurants and bars which line the main thoroughfare along the Avon, Amazonita is an attractive proposition for pre-dinner drinks or a cosy dinner date. The Amazon-inspired restaurant offers a lively ambience combined with small plates dining and a cocktail menu inspired by tropicana. 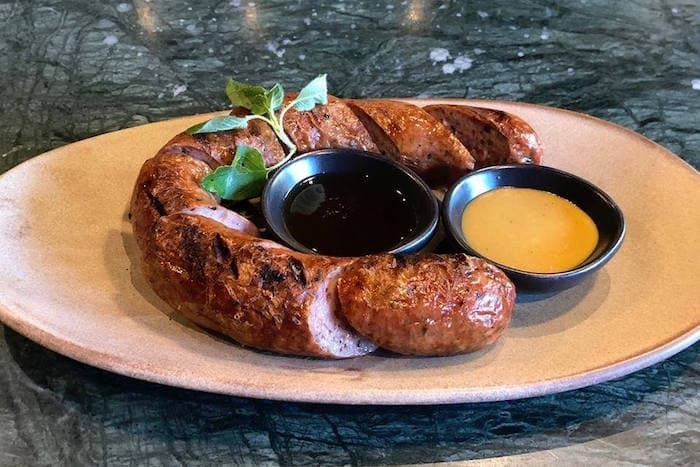 With a strong tipple in hand, you can people watch from the terrace as you dine on chargrilled jalapeño sausage, piping hot squid with ginger chilli dressing and lamb shoulder roasted with pumpkin purée. You’ll have to jostle for a table in this cosy diner, which has built quite the reputation for its innovative (and Instagrammable) brunch menu. Set inside an old 18th-century post office, Hello Sunday is the place to head for vibrant platters of avocado and split pea toast, homemade granola, chipotle scrambled eggs, fruit bowls and grain bowls aplenty, and warm chocolate doughnuts to top off the gut-busting spread. 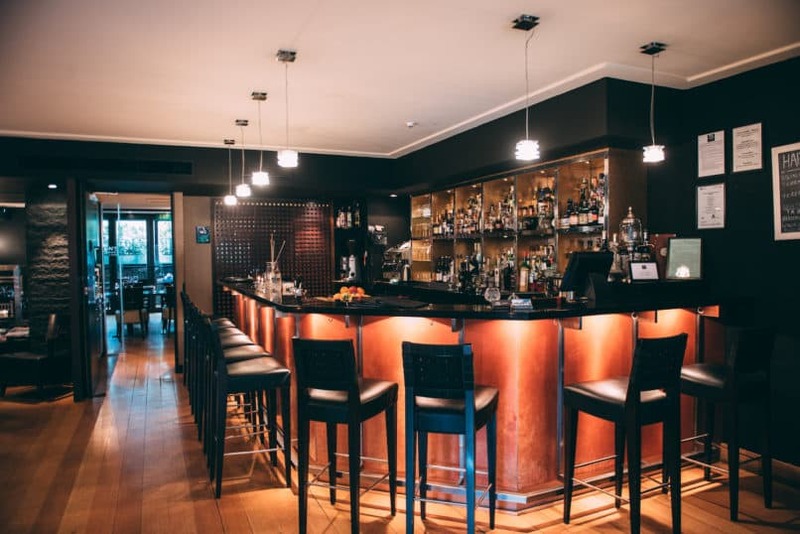 Cocktails, live music, and a far-reaching wine list are all reasons to visit Vesuvio Jazz and Tapas Bar, located just outside the main town centre. But it’s the antipasto platters here that really make a long-lasting impression: a decadent bounty of chargrilled peppers with garlic, country pate, olives, tapenade and roast ciabatta, assorted Spanish cold cuts and bruschetta to feed a small army. Find a seat in the sheltered brick courtyard and enjoy the live band as you pick over the massive platters with plenty of wine flowing. 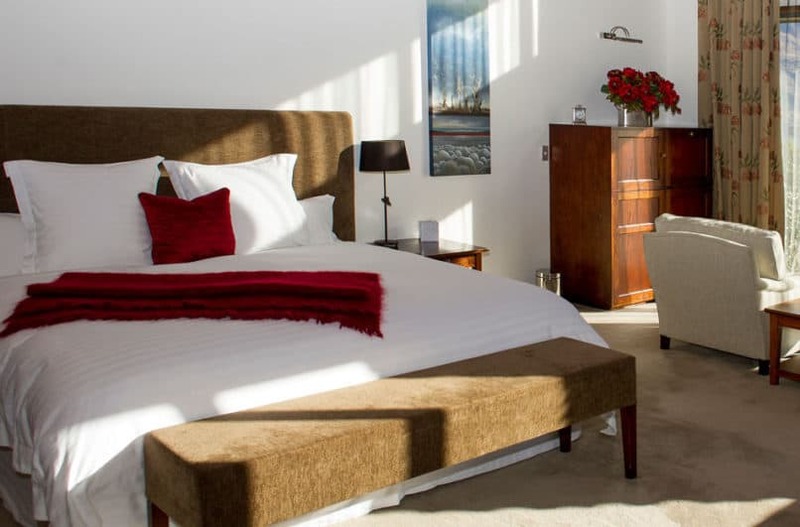 Christchurch boasts a handful of 5-star boutique accommodations — from The George to European-inspired Hotel Montreal — but for a memorable stay on the last leg of your journey, we’d recommend a night out in Pigeon Bay at Annandale (from HK$6,340 per night). It’s billed as a “luxury coastal farm”, but that’s a bit of an understatement for Annandale — without a doubt one of the most exclusive and beautiful properties in the entire country. Encompassing four distinct luxury villas, Annandale stretches along 10 kilometres of coastline in Pigeon Bay, catering to the VIPs and A-list celebs of the world with its promise of ultimate privacy, while still offering plenty of on-site activities (from kayaking to cooking classes) to fill up an extended retreat. Set against the shimmering waters of the Pacific Ocean, the sprawling 4,000-acre property is one of the country’s oldest farms, with four exclusive retreats onsite, ranging from the 5-bedroom Homestead (ideal for larger groups) to the quaint Shepherd’s Cottage, which offers a cosy villa for two set amidst the verdant pastures. It’s Seascape, however, which is the jewel of the Annandale portfolio: This picturesque retreat is a honeymooner’s dream with its ultra-modern design encompassing floor-to-ceiling glass windows looking out on the private Pegasus Bay. Accessed by a 40-minute transfer from the Annandale reception area (or by helicopter, should you so choose), Seascape offers couples a chance to completely unwind and unplug, with only the stunning azure waters washing up along your private pebble beach, and the occasional curious dolphin or seal as company. 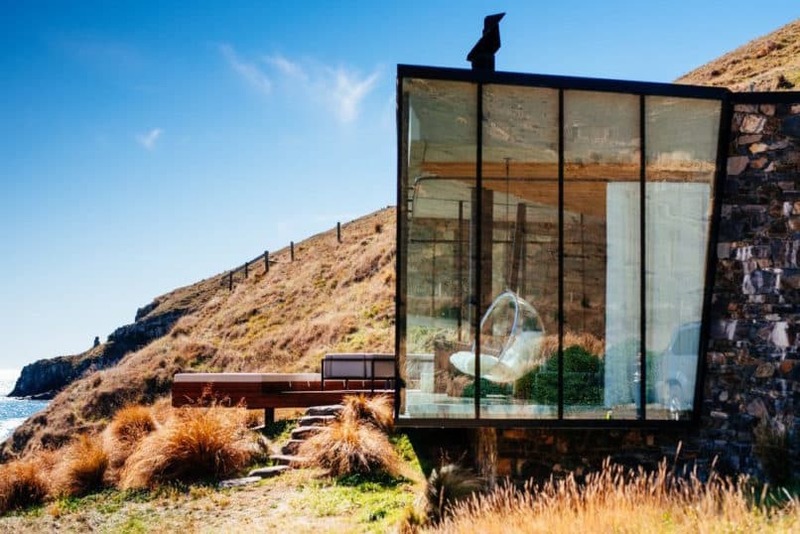 The modern property is simply stunning: an architectural and artistic feat of natural stone walls blending into a glass facade and turf roof camouflaged into the surrounding hillside, with geometric angles and slanted windows creating an intriguing dimension to the space. The amenities are fit for royalty: a plush king-size bed, both indoor and outdoor fireplaces, a surround sound system extending to the patio, and outdoor jacuzzi for late-night stargazing. In place of room service, Seascape comes complete with pre-prepared meals in your fridge made with Annandale’s homegrown produce: simply heat your food, pop open a bottle of Champagne and cosy up with your candlelit dinner to cap off your vacation in the lap of luxury.